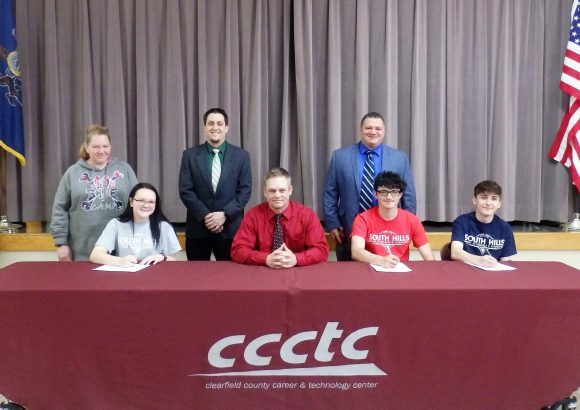 Clearfield County Career and Technology Center (CCCTC) seniors have chosen to maximize their high school opportunities for career training and industry certifications, with an eye on becoming successful and financially secure much earlier in life. The students met with representatives from their future employment or post-secondary training to sign their letter of intent. 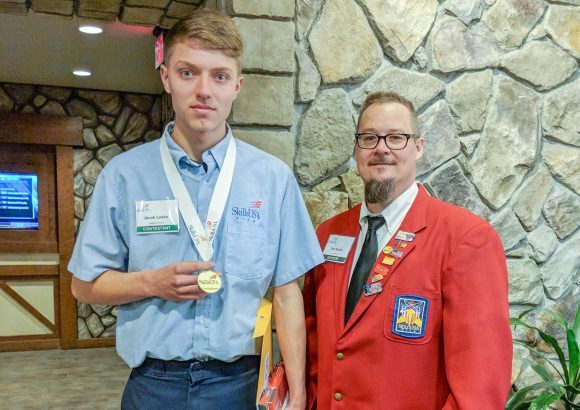 Career and Technical Education Signing Day is a way of recognizing their hard work and the value of the career-preparation training they have received through the CCCTC. 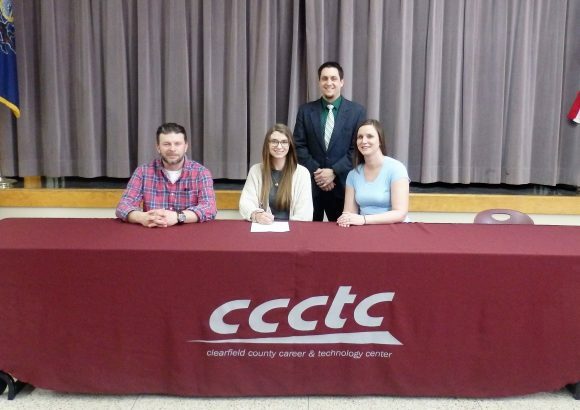 Student in the photo signed a letter of intent and has been accepted into Hiram G Andrews Center for Information Technology. 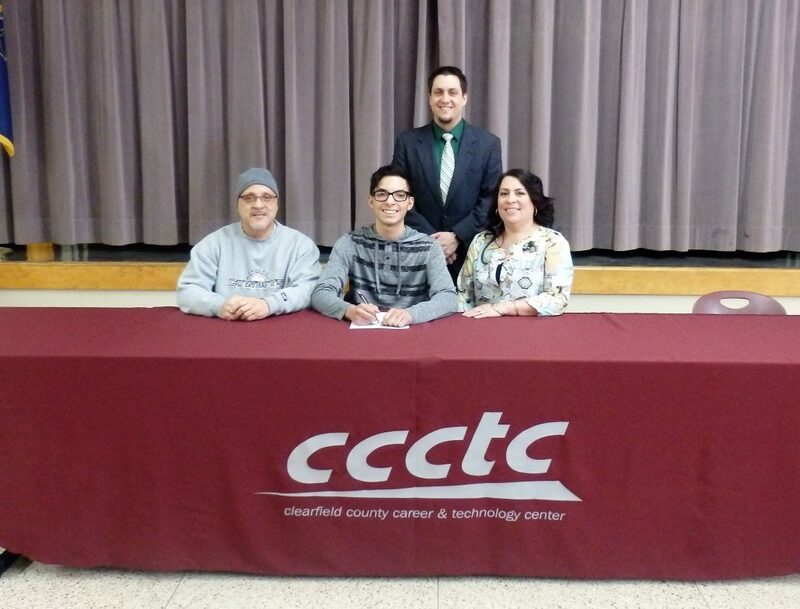 In photo, seated, is Gilbert Baez Sr., Gilbert Baez, Clearfield Area High School, and Tanya Baez. Back row is Matt Kephart, CCCTC Principal.